I ABSOLUTELY LOVE THIS. And I hope you do too! After I made this pair, I KNEW that I was in love with this feature and that it would be something that I would be doing for a long time. This is even more meaningful and sentimental and all that kind of stuff because Luke and I will be celebrating our togetherness on Wednesday! 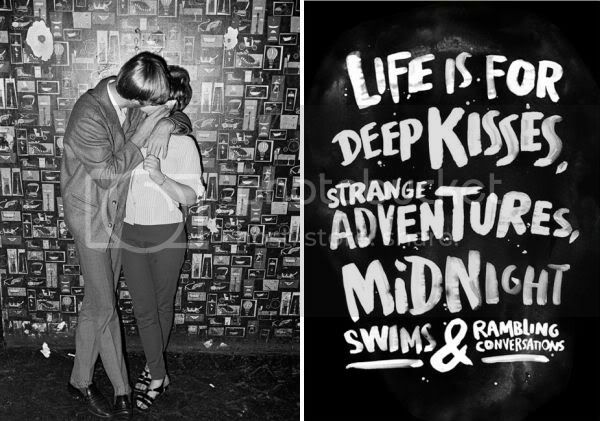 So, I see lots of deep kisses, strange adventuring and rambling conversations in my future. Maybe we'll even through some midnight swims in -- haha. I love Luke! xo.